Tuesday, Sept. 11, 2001 started out as a special day since I made up my mind to leave the house at 5:30 a.m. to drive to Cave Creek and capture the sunrise. In those days, I worked long hours as a bookkeeper instead of writing and taking photographs as I do now. I took my point-and-shoot film camera and headed out. I arrived in Cave Creek, but the beautiful sunrise never materialized. While I sat in my car contemplating my next move and listening to the radio at approximately 6 a.m., Big Shoe Stu and Dena on KMLE announced the first news of a plane striking the World Trade Center in New York City. I listened and the conversation became more serious and soon came the news that another plane hit the World Trade Center. 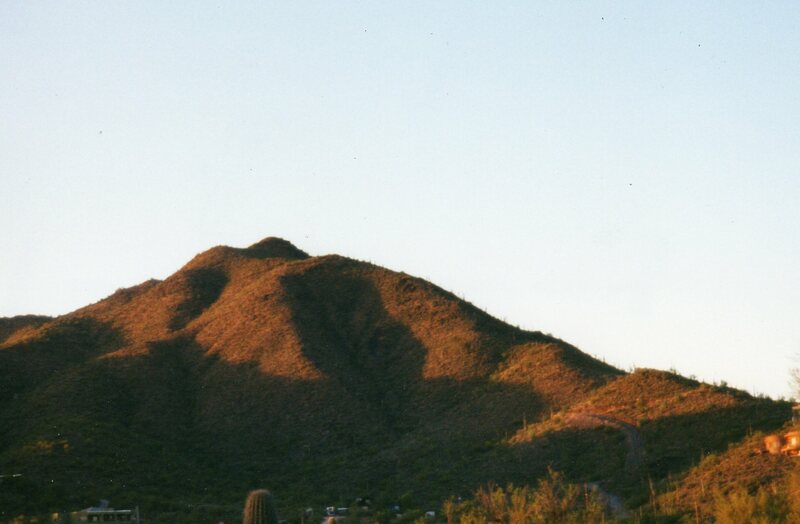 On 9/11, the early morning sun lit up the mountains around Cave Creek, Ariz.